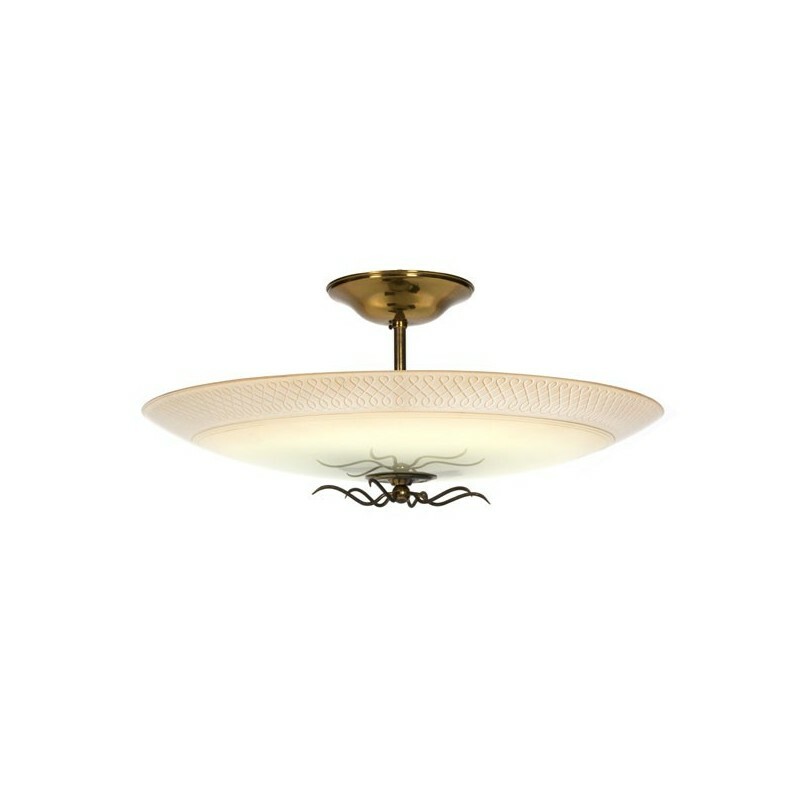 Large vintage ceiling lamp from the fifties. 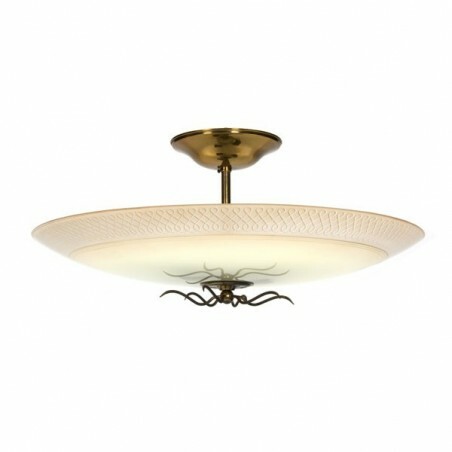 The lamp consists of a large glass bowl and copper-colored details. The condition is good, no damage to the glass, light traces of oxidation visible. The size is 67 cm in diameter and 30 cm high.